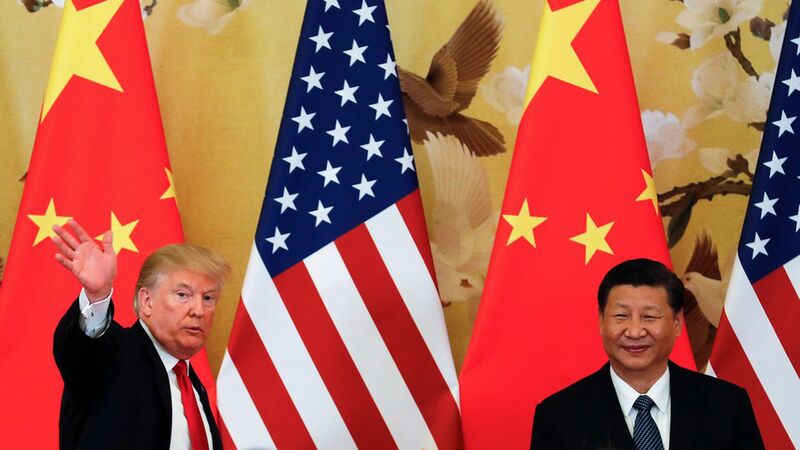 President Trump and Chinese President Xi Jinping didn't take reporters' questions after a news briefing in Beijing Thursday, with AP noting that Trump has cooperated with China's effort to control the image of the state visit. When asked why the leaders didn't take questions, Press Secretary Sarah Sanders told reporters it was "at the Chinese insistence." Counterpoint: NBC's Chuck Todd tweeted, "Previous press secs used to fight with Chinese counterparts for press access when in China," and Susan Rice, Barack Obama's national security advisor, said: "They always insist, Sarah. The trick is to use diplomacy to extract that concession as a matter of principle, despite their resistence [sic]." Obama's press secretary Jay Carney also weighed in, saying letting the Chinese "dictate press access is an embarrassing capitulation." Trump has called the media "the enemy of the American people," and his visit to China — where the press is heavily regulated — provides a break from tough questions on the Russia probe and gun control in the aftermath of the Texas church shooting. Flashback: During then-President Obama's visit to Beijing in 2014, Xi took one question from a Chinese reporter representing a state-run outlet.